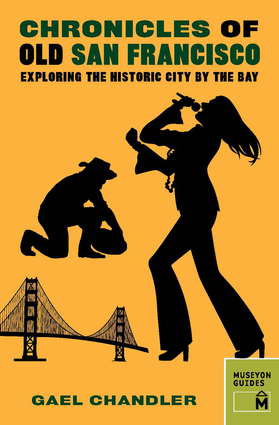 Discover one of the world's most unique and fascinating cities through 28 dramatic true stories spanning the colorful history of San Francisco. Author Gael Chandler takes readers through more than 250 years of American history with exciting essays on topics such as the city's origins to the founding of the Presidio of San Francisco and the Mission San Francisco de Asis to its modern role as the progressive and innovative heart of a nation. Along the way you'll meet characters like the city's foremother Juana Briones, Gold Rush entrepreneur Levi Strauss, confectioner Domenico Ghirardelli, gangster Al Capone, the rock legends of Haight-Ashbury, activist politician Harvey Milk, the pioneers of today's techno boom, and many others who changed the face of the city—plus lesser-known tales, like those of the children of Alcatraz and the story of John McLaren, the architect of Golden Gate Park. In addition, guided walking tours of San Francisco's historic neighborhoods by the bay and beyond, illustrated with color photographs and period maps, take readers to the places where history really happened.